Hear what our recent client, Michelle, enjoyed most about her experience with Ruby Slippers Styling. Click on the video below. Julie is a busy mother of two with a full time job. Hear what she enjoyed most about her personal shopper experience. Eija (Personal Styling, February 2019) Thanks for the shopping trip, you provided me more confidence in the way I shop. I was pretty on par. My girls loved the orange shoes and I can’t wait to show them off! Rachael (Personal Styling, February 2019) I love my new wardrobe! Thank you! I am actually already wearing a new outfit and we only shopped a few hours ago. I loved all the photos you took too and I normally hate looking at photos of myself but you made me look great. Christina (Personal Styling, February 2019) Laura, I just can’t thank you enough. You have helped me so much today. I am so grateful for the opportunity to have met and be styled by you. Thank you so much for picking so many gorgeous outfits that make me feel so good about myself. I look forward to seeing you again soon. Hayley (Personal Styling, February 2019) Thank you for sending all the photos you took of the different outfits today, its so great to see all the different combinations. I can’t wait to start playing around with me new wardrobe. Karen (Personal Styling, January 2019) Thank you so much Laura, I had a great time shopping with you and I feel really good about my purchases. With so many discounts, I feel like I bought a whole new wardrobe for a bargain price. Debbie (Personal Styling, January 2019) Thank you so much for your help today Laura, I love my new clothes! Lisa (Personal Styling, January 2019) I have just returned from another very successful shopping adventure with Laura. In an efficient but not rushed 2.5 hours, she has helped me buy clothes for every occasion. With Laura’s encouragement I even tried on skirts, dresses sleeveless tops, all things I would never normally try on in a million years BUT Laura was right, I looked good. Thanks Laura for taking the horror out of shopping for me. Sarah (Personal Styling, December 2018) Thank you so much for THE best shopping experience last Wednesday. You got my style so quickly, and I love every single item we purchased. Thank you, thank you! Karen (Personal Styling, November 2018) I have been getting so many compliments on my outfits since our session! I just wanted to say a quick thank you and I will be back next season. Amy (Personal Styling, September 2018) I had such a great day with Laura from Ruby Slippers. From the first ‘hello’, it felt like I was shopping with an old friend. Not only did Laura make me feel comfortable, but she put together some great outfits for me. I have a great refreshed wardrobe and it’s something I’m looking to do each year from now on. Having items already pre prepared in each store was a huge plus – we weren’t wasting time browsing, but Laura also listened to the things that I liked as well so I’m very comfortable with all of my purchases. Amy (Personal Styling, September 2018 ) I was given the 3 hour Personal Shopping experience with Rachel last weekend as a gift from my family. I was a bit apprehensive at first as I’m not a big fan of shopping. For anyone who dislikes shopping, this is a must do! Rachel was so lovely and very professional, putting me at ease instantly. I never knew I could buy so many things that I love in 3 hours. Rachel really took the time to understand my style and what I like and dislike, as well as pushing my boundaries a bit and making me try new things. I now also have some great tips about what I should wear and how I should wear it. Would highly recommend, for special occasions or even just to do a yearly shop all in one go. Thanks Rachel for an epic day! Steph (Personal Styling August 2018) Ruby Slipper reinvented my wardrobe, cleared the clutter, and gave me heaps of new styling ideas and shopping tips. I now have the confidence to put together lots of looks and cannot wait to go shopping for some new key pieces. Natalie (Personal Styling, August 2018) I had a fantastic experience with Laura and the team at Ruby Slippers Styling! The team were extremely professional from the outset, from the pre-session questionnaire; to mapping out shopping trip (including having outfits put aside in every store we visited!) I was extremely impressed! On a personal level I felt that Laura had really listened to what I was looking for and totally nailed the brief. I am feeling excited again about my wardrobe! . If you are looking for a wardrobe refresh I can’t recommend the team highly enough…. Thank you to the team at Ruby Slippers Styling. Aileen (Personal Styling, Sydney, July 2018) I had a great experience doing the wardrobe refresh and shopping package. Sarah is very knowledgeable about brands and how to dress the various body shapes. I have learned so much about my body shape and what does and doesn’t suit me. Being a busy Mom of 3 I just didn’t have the time to shop myself and felt when I did get the opportunity to shop I was spending a lot of money buying clothes that didn’t suit me. I love all the new clothes and now feel more confident in choosing items myself going forward. Thanks for a great experience and my new wardrobe. Breeda (Personal Styling, Sydney, June 2018) I was given a styling voucher for my 30th birthday, and as I am someone with a wardrobe full of clothes and nothing to wear, it was the perfect gift! The first session when Laura went through my wardrobe was great. It was so helpful having fresh and unbiased eyes looking at my clothes and putting outfits together that I hadn’t considered myself as well as identifying what was just taking up space in my wardrobe. The shopping session then worked with what clothes I already had, and looked at key pieces I was missing. The fact that Laura had pre-shopped took the stress and anxiety out of it for me. I really enjoyed the shopping day and felt good being confident on what I was purchasing instead of my usual uncertainty. I would love to get another session in a few months to work on my summer wardrobe! Julia (Personal Styling, Sydney, June 2018) I had a great shopping experience with Monique a few weeks ago. I usually don’t enjoy clothes shopping because I find it hard to find clothes I like. Monique immediately made me feel comfortable and picked out some great outfits for me that I love. Thanks so much! Radhika (Personal Stylist Training) Just wanted to say thank you for everything I have learnt on the course. Was so useful, I really enjoyed it and has given me loads of confidence… highly recommend this course with Ruby Slippers Styling. Still building my style bible but I’m going to let myself loose on my first client. Wish me luck!! Jade (Personal styling Sydney, June 2018) Thank you so much for an amazing shopping experience Rachel!! I have been wearing all those new clothes nearly every day!! So in love with them! Kathryn (Personal Shopping, June 2018) I was really unsure what to expect from the session…I hate shopping, and I hate feeling pressurized into buying things so I was a little apprehensive. You made me feel very comfortable, the session was so easy and I can’t believe how many things we purchased, I’ve never shopped liked that in my whole life! Thank you for your patience and for making the whole thing a joy – something I was not expecting! UTS Careers (Styling Presentation, June 2018) It was a pleasure to partner with Ruby Slippers Styling for the 2018 UTS Accomplish Award. Rachael and Laura were extremely professional and delivered engaging workshops to help our students feel more confident about dressing for interviews and the workplace. Our students really enjoyed the sessions and were able to take away practical guidance on professional dress and personal styling. We look forward to working with Ruby Slippers Styling next time! Lisa (Ultimate package, May 2018) Thanks for everything! I am having so much fun with all my new clothes. I really enjoyed meeting you Laura and and thanks for your encouragement and enthusiasm. Looking forward to shopping with you again in Summer. Kristy (Personal Shopping, May 2018) Thank you so much! I had a great time and I’d love to shop with you again next season. I am wearing my new clothes and loving them. It’s so nice not to have to worry about not having anything in my wardrobe. Robyn (Ultimate package, May 2018) I learnt so much at the wardrobe session and I LOVE my new outfits as does my husband. Thanks again for a great shopping experience. I really appreciate your advice and help. Joanne (Personal Shopping, April 2018) Before shopping with you i can honestly say i had no idea what suited me, and very little body confidence. Since our shopping session i feel like i had so much more than a wardrobe of new clothes…i feel excited about what to wear and love my new looks. From the bottom of my heart thank you. Kirsty: (Ultimate Package, March 2018) The session was great, very helpful, I’m really glad I did it. My wardrobe has never looks so exciting! I’ve been raving to my friends about how good it was, so I’m sure a few of them will take up your services, everyone seems to have the same problems I had! Sascha (Personal Shopping, February 2018) Thanks again for this morning. I’m thrilled with the outfits you pulled and how quickly you got my style (and pushed it to the next level). Second to diamonds, a stylist is definitely a girl’s best friend!! Gemma (Personal Shopping, February 2018) I totally loved our shopping trip today ! Everything goes together perfectly. Rachel showed me how to dress it all up and down for trips to the park, school drop offs and nights out with my husband. Thanks to you I’m ready for everything life throws at me without the worry of what to wear. Thank you! Tricia (Personal Shopping, February 2018) I just wanted to let you know I had a fun and successful session with Sarah, she was wonderful! I came away with a few key pieces and was introduced to a few new brands that were really ‘me’ I’m looking forward to wearing all my purchases. Laura (Yummy Mummy Package, January 2018) Thanks Rachel, it was absolutely brilliant and I don’t think I’ll ever want to shop on my own again! I’ve been wearing my new clothes (and jewellery!) all week and have had lots of compliments! Thanks again! I’ll definitely be getting in touch post-birth for some further help with updating my wardrobe. No mum-slum here! Angela (Personal Shopping, January 2018) Thank you so much Laura for such a great shop. I really enjoyed the whole experience and felt very comfortable in your company and just love all the looks you have created for me. I feel excited about getting ready each day now. I will be back next season for sure! Yvonne (Personal Shopping, January 2018) Sarah, thank you for a lovely morning. I will admit I was a bit wary about the session, as I am not the type of person who would even think about booking a stylist. I think that is why my friends were so concerned about how long you could put up with me, but we fooled them!! I felt comfortable as soon as we met, which really helped. Even though I was very happy about the gift my son had given me, to be honest, I thought how in hell will I manage that as it is something I would never think about organising myself. I’m not usually a person who would try anything outside my comfort zone. BUT as soon as I met Sarah I thought she was amazing she made me feel comfortable about the shopping trip. I had a ball and was excited going home to show off my new wardrobe. I would do this again anytime and would tell any person I know how nice it was to feel special for the 3 hours with Sarah. Frankie (Teen Styling, December 2017) Thank you so much for today! I had a lovely time and have come out with some amazing pieces of clothing that i cannot wait to wear all the time. Thank you so much for all your help today. Mum and Dad are also very grateful. Nate, (Male Styling Package, December 2017) My wife purchased the Personal Styling Session as a gift for me, and I was very apprehensive about it. My experience, however, was great. I was astonished how many outfits we purchased, and just how easy the whole thing was. I would highly recommend Blue Suede Shoes Styling, from someone who hates shopping, it was all made very easy. Thank you. Klarissa (Ultimate Styling Package, November 2017) I had such a great experience with Laura, she had chosen lots of items I would not think to try on but they really suited my body shape, colouring and lifestyle. I learnt a lot of tricks to make clothes look their best and the photos of the different looks taken on the day are really helpful to choose and outfit when I am getting ready quickly in the morning. Alex (Male Styling Package, November 2017) Just wanted to send you a note to say how great Graeme’s shopping session was with Ishtar on Sunday. I loved everything that he bought, and he enjoyed it as well (as much as he can enjoy shopping!) and especially liked the fact that they didn’t walk around and everything came to him – it was perfect for him! Just wanted to give you that feedback, thanks again! Jenny (Personal Styling, October 2017) I loved every minute of my 3 hour shopping session with Laura and came away with a new summer wardrobe. I am a pretty conservative shopper, but Laura took me out of my comfort zone to a point where I was trying on clothes I would normally shy away from and loved what I saw in the mirror. She really understood what would suit my figure and skin tone, and helped me to dress around the areas of my body I am self conscious about. Laura followed up the trip with all the photos of the outfits so I could remember how to put my new pieces together and further tips on dressing for my figure and skin tone. I would not hesitate for a single second to recommend Laura and the Ruby Slippers Styling team. Myra (Personal Styling, October 2017) I had a really great shopping experience with Rachel. She just knew the clothes that would suit me, was professional, fun and I learnt a lot along the way. Ameila (Personal Styling, October 2017) Thank you so much for an amazing experience. I had given up on finding things that suited me and you have certainly revived the senses! I love all the looks, and I really can’t tell you how much better I feel about myself after our day of fashion! Vivien (Ultimate Styling Session, October 2017) I’m loving my new clothes! As a kid I think I just missed the step of dressing up and figuring what was right for my body shape and working out colours and styles that suited me. Laura was able to see through my wardrobe and pick out what good pieces I had whilst helping me declutter and let go of the past. I tended to look at clothes on how much they cost rather than how well they would work on my body. Laura was able to tell me straight away what body shape I was and show me through the clothes in my wardrobe which clothes made me look tired and washed out (and frankly more yellow and jaundice) and what clothes brightened me and slimmed me. I haven’t taken anything back to their shops so that is a huge compliment to you. You were so friendly and down to earth it was easy to tell you how I felt, you didn’t take me too far out of my clothing comfort zone but just enough for me to try some new things. You have helped take my wardrobe from being one of the wait staff to one that stands out from the rest. Time to act like a boss lady!!! I had a blast……hope to see you around in my trendy clothes and not my gardening clothes. Angela (Wardrobe Refresh, October 2017) I loved every minute of my Wardrobe Refresh session with Laura! It’s exactly what I was after. I loved the ideas and recommendations about how to put different things together, and what colours and shapes suited me best. It was so much fun and the 90mins went by in a flash. I literally could have done this all day! I have been shopping since the session and it is the most pleasant experience of shopping I can remember.. I had Laura’s voice in my head about what to pick up and what not to pick up.. this clarity about what suits me and my style made it so much easier to shop! It was fun to pick up some of the pieces Laura recommended and intergrate them into my current wardrobe. I would highly recommend Laura if you have always wanted an experience like this! Ella (Teen Styling, October 2017) Thank you, Ella had such a lovely time with Monique – she got some great (and much needed) clothes. Thank you again. Matthew (Male Styling, September 2017) I didn’t really know what to expect from the styling session, but I was very impressed. I have plenty of outfit choices for both work & weekend, and a very clear idea about what suits me. Thanks Laura! Frances (Teen Styling, September 2017) We want to thank you for allocating Monique for our style adventure, she was amazing! She found lots of things we liked and all of them suited her in style, colour and skin tone. Monique was fun to be with too we all had a wonderful time and she feels lots better about her wardrobe and how she looks. Aimee (Ultimate Styling Session, August 2017) I was feeling pretty ‘blah’ about both my clothes and myself – mother of two children, my body isn’t the same as it used to be! But after a wardrobe and shopping session – Vishi had brought out my ‘vah vah voom!’ In me. Now I have so much confidence in my clothes and my only problem now is what awesome outfit will I wear today! Geoff (Men’s Personal Styling, August 2017) I was in need of help and like most middle aged guys either too busy or too reluctant to spend time shopping. I had a great experience with Sally in Brisbane today. She knew her stuff, had great communication and she made me feel comfortable through the process. I came away with a number of pieces for work which have utility value for when I go out. Highly recommended. Tim (Men’s Virtual Styling, August 2017) Rachel thanks sooo much for your input – it has given me confidence to shop for my style, and tools to work with my awkward body shape. Now when I shop the isles, it takes me less time, because I can look for very specific things to compliment a reduced wardrobe. I no longer have to second guess what I’m going to wear or how to wear it either, which saves me time every time I get dressed, and gives me confidence in my look. Cicily (Personal Styling, July 2017) You guys are amazing! Thank you so much for everything. I’ll never be able to shop without you again. Karen (Virtual Styling, August 2017) I just wanted to say thanks for your help with styling. 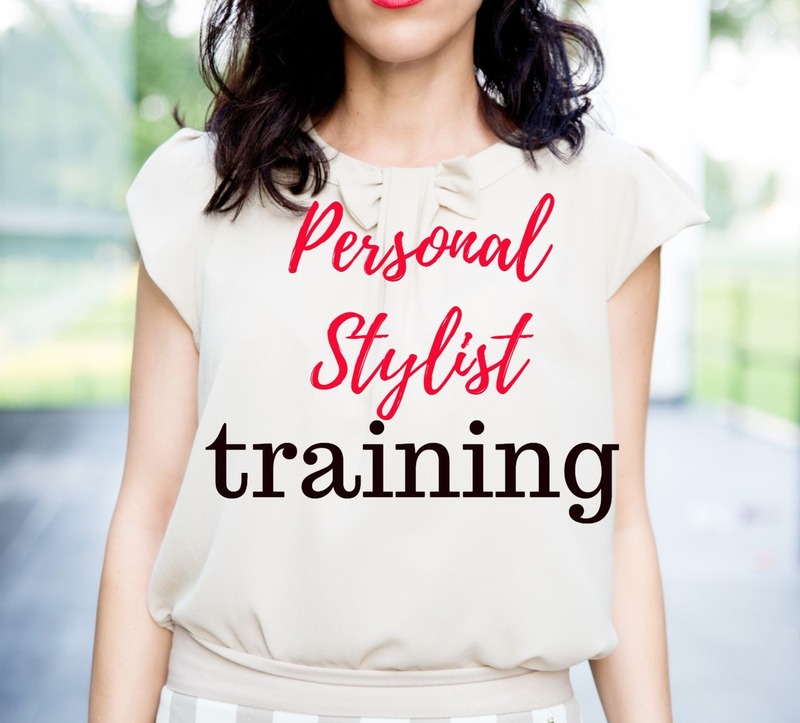 Having a stylist is something I have always wanted to do but as i live in rural NSW, i never thought it would be possible until I saw your virtual styling package. I have learnt so much about what styles suit my body shape and what styles I should be going for when I am shopping. I absolutely love the look book and feel so excited about going shopping now. Ben (Male Styling, July 2017) What a huge overhaul today, I’m so excited to try everything on again. Thank you so much for your help, I will never shop on my own again! Kirsty (Personal Styling, July 2017) I just about made it home with all my bags. Thank you so much for an awesome time, I can’t wait to give my husband a fashion show with all my new clothes. Ciara (Teen Styling Package, July 2017) From a happy Mum! She loved her wardrobe makeover and shopping experience with Monique. It was a very positive experience and also confidence boosting. She’s loving her new clothes but also loves having more knowledge about how different items in her wardrobe can work together. I found it fun and rewarding too. Monique was wonderful to work with – she was easy to chat to, a good listener and she understood Ciara’s style needs. Mark (Men’s Personal Styling, July 2017) From someone who has zero time, and usually hates shopping this was a fantastic experience. The prep, organisation & your knowledge was bang on. It was worth every penny, thanks again. Leanne (Personal Styling, July 2017) I had a great time, Sarah was lovely and a pleasure to spend the time with shopping! Andrea (3 hour Personal Shop, June 2017) Just a quick note to say THANK YOU to Ruby Slippers and Monique! I had a fabulous 3 hours – learnt about what suits by body type, went home with some great new outfits and the time just flew by! It was a great experience from the first phone call to the final result. I could not be happier!! Macquarie University Style Training (June 2017) The students enjoyed the presentation and appreciated learning about personal branding, workplace attire and outfit suggestions. Personal branding is definitely of interest to the students. My colleagues and I found the information useful and accessible for students, so thank you and we look forward to having Ruby Slippers present again in September. Laura (3 hour Personal Shop, May 2017) Just want to say thanks to Vishi for a great shopping experience a few weeks ago. As soon as I met her immediately felt comfortable. I always knew what style I liked but was never confident in the outfits I chose. I’ve worn all of my outfits received so many wonderful compliments! Thanks again. Georgie (Ultimate Package, May 2017) Engaging Ruby Slippers Styling is one of the smartest moves I have made in a long time and I’m reaping the dividends! It was well worth the investment! I now have a wardrobe full of clothes that I actually wear, suit my colouring and body shape. Thank you Laura!! The whole experience was so enjoyable and so easy! Laura did a fantastic job in choosing outfits that suited my current lifestyle and having the clothes ready in the change room to try on made what is usually a painful experience really fun! Laura also came to my house and was able to put together outfits from my current wardrobe that I would not have thought of myself. It’s was great and a real confidence booster having that second opinion from someone as super stylish as Laura. She also assisted me in filling the gaps and went that extra mile emailing me suggestions even after the session!! It was definitely money worth spent and I will be booking in a summer session! Rahul (Male 3 hour Personal Shop, May 2017) It was a great experience and Laura was very professional, friendly and made me feel very comfortable throughout the session. It was very well organised and she understood what I was looking for. Thank you very much for an amazing experience. Laura (3 hour Personal Shop, May 2017) We had a great session, shame the time went so quick. I enjoyed being able to turn up and there was a bunch of outfits selected I didn’t need to worry. Vishi was great, she was very friendly and I felt immediately comfortable. I wasn’t pushed to buy anything I didn’t like. Alison (3 hour Personal Shop , May 2017) I am usually overwhelmed by the choice in David Jones in the city, but shopping with Laura was like having my own private department store where everything suited me and fit me. Laura absolutely understood my style, shape and budget. Honestly, I am amazed with what I purchased and how it all works together. I don’t think I’ll ever go shopping on my own again – why would I? Thank you so much to the team at Ruby Slippers and in particular to Laura. I can’t wait for summer when I can do it all over again for the new season! Trish (3 hour Personal Shop , May 2017) You just took the stress out of getting dressed every morning! I had such a good time with you and so got so many compliments from people . Tory (Ultimate Package, May 2017) Many thanks for your help. It was the most productive 3hrs I’ve spent for a long time in regards to clothes. Got a thumbs up from my family as well! Alison (3 hour Personal Shop, May 2017) Thank you so much Laura. I had a really great time shopping with you and love everything I bought. I’m rocking my new pants, top and jacket at work today and feeling great! Olivia (Ultimate Package, May 2017) I found the session really great – Monique helped me see my wardrobe in a new light and picked out clothes that I wouldn’t consider when I’m shopping by myself. Shopping alone is often confusing because there are too many choices, but having someone pick out what’s necessary and what’s not really takes the stress out of it. The shops that Monique picked are great and fit my budget well. She also provided me with great advice on styling and what to buy next. Jo (Ultimate Package, April 2017) Thanks to Gemma for helping with a wardrobe clean out and a shopping trip. Feeling fantastic having a wardrobe full of clothes that now work for me and a load of new winter clothes that I am looking forward to wearing. A great experience, I thoroughly recommend! Alix (Personal Shopping, April 2017) I had so much fun, which is rare for me when shopping – it’s usually so stressful trying to find something that fits me, both my personality and my shape! Monique was so friendly and lovely and helped me to feel at ease right away. She has a fabulous, fun personality that helped me to love the day. Monique picked out clothes that were perfect for my age and style and encouraged me to adventure a bit outside my comfort zone – in a great way! I wish I could shop with her everyday! The stores we visited were great. Perfect for both my age group and my budget, and it was great to learn how I can choose pieces that suit my style and body. Kelly (Ultimate Package, April 2017) That was the most fun and genuinely nicest shopping experience I have ever had. Monique was so well prepared, she listened to my thoughts and concerns about my body, and was conscientious. I am absolutely blown away. Thank you. Celine (Personal Shopping, April 2017) I have had some great compliments this week on my new outfits. People have been shocked at how good I can look! The most important thing I learnt from the session with Sarah was confidence and having some fun with it. I grew up with my mother telling me to cover up certain areas because they were “chubby” etc. I think this has led to my lack of confidence with clothes and shopping in my adult life. Now I think I can confidently walk into stores like Kookai without worrying that the gorgeous sales assistant with supermodel looks is looking at me funny! Thanks again, you gals have really pulled me out of my fashion funk and into hopefully the most stylish years of my life! Karen (Personal Shopping, April 2017) I really wasn’t sure what to expect from the session with Ruby Slippers Styling, but it was fantastic. I am not a shopping lover, and found the session to be relaxed and honest. It’s a hassle free way of shopping. I’ll be back for my summer wardrobe, thank you. Carol (Ultimate Package, March 2017) I had so much fun! Sarah was awesome. I loved every part of this experience. It is definitely worth every cent. I have bought a styling package for a friend already. The home session was really helpful. It was great that Sarah referred back to my wardrobe when we were at the shops too. I was also very impressed that she had clothes picked out before our shop. Katie (Corporate Styling, March 2017) What a great afternoon with the Ruby Slippers Styling team! We picked up some great tips from the ladies including dressing for our body shape and wearing the colours that suit us best. Rachel and Laura were both very warm and engaging, and were happy to answer all of our questions – highly recommend their service. Lee (Personal Shopping, March 2017) A HUGE thank you from me – Sally was terrific. I was so pleased with all her help and advice – and the clothes she picked out. She is a lovely lady. It was a big success and I’m sure I will be back! Kate (Personal Shopping, March 2017) I had a fantastic time with Laura. For a shop-o-phobic like me, it was invaluable. I learnt such a lot and Laura was very patient with me: “No. I don’t like that. No, I wouldn’t wear that” etc. I wouldn’t change anything and highly recommend the service. It was fab. Alisha (Corporate Styling, March 2017)Laura and Rachal were engaging and fun. They are able to make what has the potential to be dull and awkward discussion a very light, fun and interactive afternoon of fashionable learning”. Eimir (Personal Shopping, Feb 2017) I had such a fabulous time with Gemma today, she picked out some great pieces, thank you. Taryn (Corporate Styling, March 2017)Really interesting, non-judgmental and useful information to apply to both work and non-work situations. Brooke (Ultimate Package, February 2017) Thank you so much, I have learnt so much and have a fab new wardrobe. You made it such a positive experience rather than stressing something doesn’t look good or fit. Serena (Personal Shopping, February 2017) Had the most amazing experience with Sarah last weekend 🙂 she was so lovely and actually had her work cut out for her as I’m in between sizes so there was a lot of running around…..(sorry Sarah)! Still can’t believe how much we managed to get in the 3 hours!! This has saved me so much time and effort. Thank you Sarah and I will see you soon enough for my next session. Karina (Ultimate Package, February 2017) I have a beautiful new wardrobe that feels good to wear and is very flexible. Sally made such an effort to get to know what I do and what my personality was to ensure the clothing ideas were really right for me. I’d recommend her, and Ruby Slippers Styling, to anyone. Ruby (Teen Personal Shopping, January 2017) Thanks so much Laura for today. Your help and kindness has not been taken for granted. Thank you for making me feel special and feel that I can rock a style! Natalie (Personal Shopping, January 2017) This was my second shop with Rachel, and I had another wonderful shopping experience. I felt like a celebrity having the clothes waiting for me in the changing rooms. It’s so efficient and means I was able to try on many pieces at multiple stores. Rachel gives friendly advice and explains how to dress for your specific shape and size. The clothes selected were all gorgeous and I came home with an abundance of shopping bags! I’m so excited about all the lovely new outfits I have to wear & I know I’ll be back again when it’s time for another wardrobe refresh! Thank you! Grace (Personal Shopping, January 2017)I certainly enjoyed myself – it was great learning about what works and what doesn’t style-wise. Nothing but positive comments on the new clothes which I have worn so far. I am trying to introduce a few new pieces into the work wardrobe a week. A great time for short skirts and dresses in this weather. Thanks heaps for the extra info, it will be super useful when I next need to buy something.It was really beneficial to learn from someone like yourself who’s very experienced and knowledgeable. I would definitely recommend you to others. Virginia (Personal Shopping, January 2017) Thanks so much for a fun, stress free and productive shopping experience. I absolutely love everything you picked out for me and am loving my new looks! Emily (Teen Styling, January 2017) Thank you very much it was a lovely morning I really did enjoy it! I’ve been wearing the clothes every day since and i’m very happy with them thank you 🙂 I loved how you gave me direct opinion on what suited me, and what didn’t – with no hesitation. That really helped me understand exactly what suited me and what didn’t, whhich then will help me understand what I am shopping by myself. I also loved how casual and fun the experience was. I wouldn’t have shopping in the stores if I was by myself as I hadn’t bought clothes from some of them before, but now I know what I am looking for and where to find them! Thanks you very much again! Karen (Personal Shopping, January 2017) The thing I enjoyed most about the session was having a professional stylist pre-select outfit combinations that I would never have chosen for myself. The clothes were gorgeous, ideal for the purposes I’d indicated in my pre-session style guide and well within my budget. You took me to stores I would never have previously thought to visit and introduced a sense of style that suits my life, as well as helping me to feel really confident. Samantha (Personal Shopping, January 2017) Firstly, thank you so much for yesterday! No only was it fun (which I NEVER thought I’d say of shopping) but it was super productive. I loved everything we purchased, I’ll definitely be back next season! Deborah(Ultimate, January 2017) Thank you for helping me cull my wardrobe and get rid of things I have been clinging onto for years. I loved the shopping experience, thank you so much!! Hine (Personal Shopping, December 2016) I loved the session as time is one of my most precious commodities and it was great to be able to cover so much during the time we had and get items to see me through the next year. I loved your choice of garments and stores. I loved your efficiency in having the clothes ready to try on and given the briefest brief, it was remarkable feat and reflects your expertise. Well done Rachel!! Renee (Ultimate Package, December 2016) I knew my session would be fun but the whole experience exceeded my expectations. It’s on my wish list to do again. From the first day back at work I was showered with compliments about my new look. At first I would just get a comment every day from different people about how beautiful my skirt was or what a great colour I had on or how skinny I was looking ;)))). And then people started to comment on my complete style. It felt amazing. I felt amazing. I loved that the session felt like I was shopping with a friend. An exceptionally stylish and savvy friend. I think I enjoyed the ease of hassle free shopping the most. Having all of the clothes ready for me to try on was sensational. It was efficient, relaxed, organised and honest..just how I like things to be. Leane (Personal Shopping, December 2016) I wanted to thank you for a fantastic experience. I felt very comfortable and learnt so much. One of the best parts was the “pre” shop, It just made a world of difference to have it ready to go without having to fight the crowds and spend time looking for clothes, it made the experience even better. A huge thank you for an amazing experience. Fiona (Personal Shopping, November 2016) Had the best experience with Laura today.. Shopping for 3h and getting so many fantastic clothes and outfits that have given me back my confidence and styles get to make me feel amazing. It’s the best thing I have ever done and looking forward to seeing Laura again when winter hits… Thank you again so so much Laura! Kim (Personal Shopping, November 2016) It was a great experience. I was a little nervous at first, not sure what to expect. You soon put me at ease and then it was a whirlwind of activity for the next 3hours. It was exciting going to shops I don’t normally shop in having the clothes ready to try on. Different styles, different colours, that had been picked out ahead of time. Your guidance and encouragement have made me so confident and comfortable with my new look. Thank you so much for an unforgettable experience. My friends and staff were very jealous of my experience and my new wardrobe. I think others now know that these sort of experiences are doable even for us ordinary folk. Claire (Personal Shopping, November 2016) Thanks so much for your time on Sunday. I had a wonderful morning, and it was a fabulous way to shop. I loved the styling advice (colours, shapes, accessories that work best) this was priceless for me. I love the idea of working with someone independent who has no vested interest in whether I purchase everything or nothing that we looked at. It takes all the perceived pressure off. Having all the clothing laid out in the fitting room in advance made it so easy. Not having to worry about availability of sizes eliminated lots of stress. Getting away from queues at fitting rooms and cashiers was awesome too. I love that the things you selected are very versatile and go with each other and my existing wardrobe brilliantly. The privacy of the personal fitting rooms was really great for me, and a bit of a treat! You chose a great time for us to shop, as it was quiet and there were no queues. The stores we visited were great and the follow-up advice was really handy too. Look forward to catching up with you next season! Susan (Ultimate Package, October 2016) The whole experience with Rachel has been amazing. From the moment she looked in my wardrobe she could see what I needed and how to make the most of it. A couple of hours shopping with Rachel I achieved more than I could have on my own or with a friend. She had pre worked out what I needed so I didn’t have to aimlessly search through the stores, she has items pulled aside that not only reflected my style but would maximise what I already had and needed. Highly recommend has saved me so much time! I look forward to a styling session in Winter! Michelle (Personal Shopping, October 2016) I had such a great time! It’s amazing how much we got in the time. I jumped out of bed this morning, knowing it would be easy to put a great outfit together today:-) Thanks again for the magic you work with my wardrobe and for such a great morning. Kelly (Personal Shopping, October 2016) Thanks again for a great shopping experience last weekend. I will look great this summer! I love all the new clothes, I can’t believe how many outfits we purchased in the time. I’ve told everyone who’ll listen about Ruby Slippers and my fabulous experience, thanks again, see you again soon. Kate (Personal Shopping, October 2016) I had an awesome time with Sally and we got so many amazing clothes. She was fantastic. Very professional, efficient and easy to get on with. Heaps of fun as well. She went above and beyond to make sure I got what I needed. Sara (Personal Shopping, September 2016) Laura, thanks so much for the pictures – everything went well after you left and I’m now the proud owner of heaps of clothes!! It was so nice to work with you and I looking forward to doing it again soon! Dale (Personal Shopping September 2016) Two thumbs up and gold star from me. I would definitely do this again with a different focus or a different season! Sally, moved at a great pace with complete confidence, had a lovely personality that put me completely at ease and I trusted her choices. She had a great rapport with the shop staff, I loved what she had selected for me to try and she gave me confidence in shopping again. I felt like someone stole an hour – it was over too fast! Otherwise, absolutely nothing I would change – I loved every minute of it. Krystel (Personal Shopping September 2016) Thanks so much for all your help on Saturday Rachel. I loved every minute and learn’t a lot. I went home and told my friend all about our time and she wants to do it now! You did a great job describing everything and explaining why you were choosing the pieces you did. Dressing and feeling good about ourselves is a sensory process. Vision though is the dominant sense and so a lot of the time people find it difficult to describe things in an multistory way. You did a great job and made me feel very confident about my new choices and comfortable about myself just as I am. Thanks for making me a smarter shopper. Sandi – (Shopping Tour September 2016) It was lovely to meet you and have our day together, it turned into the perfect afternoon! Thank you – I love all my beautiful things and have no “shoppers remorse”!! Rachel (Personal Styling September 2016) Sally, thanks for last weekend, my husband gives my new wardrobe a big thumbs up! Thank you! Maggie(Personal Styling September 2016)I couldn’t be happier with my styling experience with Laura! When I arrived for our shop together Laura had loads of items picked out and waiting in the change rooms. The pieces fit beautifully as they were selected for my body shape and they also fit my budget. Best of all they could be matched together to make many different outfits, both for work and play! Laura had selected clothes in colours and brands that I wouldn’t have found myself, yet suited my personal style. We had a lot of fun trying and selecting the clothes that worked together. This shop has saved me from so much shopping time and stress. I also now have a great selection of outfits and have been getting complimented on my new style at work and at home!Highly recommend the whole experience – treat yourself it’s so worth it!! Ling Ling (Personal Styling September 2016)Thank you for the shopping session, I really enjoyed it. I liked how organised the session was by pre planning the shopping. I think the session was very good, Thanks again so much for the valuable experience. Rachael (Ultimate Styling package September 2016)Thank you so much for the amazing shopping experience. I thoroughly enjoyed the day and appreciated how organised you were with having everything ready at each shop. The style tips on how to wear the items with each other were so helpful and having everything organised before getting to the store so time was efficiently used was great. Jess (Personal Styling August 2016)I really enjoyed the session, it was great. One of the best things I found was that I didn’t feel guilty trying on lots of items and then handing them back if they didn’t suit. The main standout of the session was that I got two great pairs of jeans that fit so well. Erin (Personal Styling August 2016)I had a great time and would happily do it again! Ishtar was fantastic – my favourite part was arriving and having a dressing room already ready for me with all the outfits lined up – I felt like a celebrity. I have already received compliments for quite a few of my outfits and I feel much more confident. I will book another session in summer for sure! Theresa (Teen Styling August 2016) Thank you for helping me today Rachel, I really enjoyed the session and can’t believe how many outfits i have now for college! It felt like shopping with a friend, but learning all about what colours suited me and styles to go for. Michelle (Personal Shopping July 2016)I enjoyed the session so much and I told Vishi that she was extremely professional even when she mentioned what items would not be suitable for me. She made me feel very comfortable and ensured I was happy with the clothing items I had picked. Amy (Personal Shopping July 2016) Laura, Thank you so much for today! I had so much fun and am so happy with all the pieces you suggested. You are such a talented Stylist! I already feel more confident in advance of further networking/interviews. Brooke (Personal Shopping, July 2016) I just wanted to say a quick thank you again for yesterday! I am sitting at my desk and am both comfortable and warm in my new work gear 🙂 I’m sure I we will see each other again, maybe next season! Christie (Wardrobe Consultation, July 2016) I loved today. I found you gave me confidence to try new styles I have been afraid of and some great tips to balance out my body. Emma (Personal Shopping, July 2016)It is so nice to be able to go to my wardrobe and find something that I want to wear and feel conformable in. Also have something stylish.. colleagues, friends and family have all commented on the new wardrobe. Kellie (Personal Shopping, June 2016) Thankyou for such a great experience on Saturday. As I said, it was the best 3 hrs I have had in a long time! I will definitely be telling my friends and family where to go for styling. I loved the pieces you chose for me and the fact you take the hassle out of browsing the overwhelming fashion stores these days makes it even more enjoyable. I liked how you were very honest about outfits that didn’t work or if i was unsure about something you were very decisive. I personally loved it, thanks. Nonnie (Personal Shopping, June 2016)Thank you so much for your time; it was such a wonderful experience. Have been loving my new clothes, and rocking some fab combinations.I was hoping that we could do it again around my birthday as a birthday treat for myself! Rebecca (Ultimate Package, June 2016) My only regret with Ruby Slippers Styling is that I didn’t use you earlier! I prevaricated for ages about the cost, but based on my experience I would now have no hesitation recommending you. I think it’s great value for money. The wardrobe consultation was a big eye opener and the shopping trip was exactly what I needed. Sally nailed my style and needs from the very first outfit. I was so impressed that she had pre-shopped to stock the change room with lots and lots of options. It was the complete opposite to my normal shopping trip. I wouldn’t change anything about the sessions. They achieved exactly what I wanted. Thanks again. Serena (Personal Shopping, June 2016) I had a great time and got plenty of outfits. Surprised at how quickly 3 hours can go by! Vishi was absolutely lovely and extremely helpful. She has definitely opened my eyes to new things!! I loved the way she showed me how to mix and match the outfits so I can get real use out of what I bought. Also, how to dress up or dress down a look using the same tops. I loved her outfits for Friday’s as I have most of the clothing I just didn’t know how to put them together to make a very modern look! Honestly, overall a great experience. Definitely something I would do again coming into the warmer weather if anything it’s such a time saver and all I have to do is top up now and again. Simon (Men’s Personal Shopping, June 2016) You nailed every element of the experience! The shopping was super organised. Lots of laughs. You had already checked in with the shops and had them waiting with the right gear to try on. I couldn’t fault the whole process. Super well done. Stephanie (Shopping Tour Sydney, May 2016) My session with Rachel helped me define how I want to dress. After having a baby and now working for myself, I needed a fresh look that’s easy to manage and Rachel nailed the brief. Now when I shop, I visualise her advice around colours, shapes and styles – helping me find the right items and avoid wasting money on things I’ll never wear. Karla, (Ultimate Package, May 2016) I liked the fact my Stylist built on my current wardrobe. Matching accessories with my current wardrobe and no pressure to buy lots of items very realistic. A very enjoyable and productive experience. Leanne, (Personal Shopping, May 2016)I’m loving the new clothes thanks – I’ve been in a new outfit every day so far! I enjoyed the experience so much. I particularly loved your energy and passion for styling. Thank you for making me try things I wouldn’t necessarily pick out for myself. Jen, (Ultimate Package, May 2016) Getting a stylist was something I had always wanted to do – and was nervous about how confronting it would be having someone go through my wardrobe! You were so kind and just looked at everything with new eyes and gave great advice on what to throw and what to keep (lots of which i knew deep down, but it gave me the courage to throw things! ).The shopping day was amazing, and one of the best things I’ve ever done. Everything was ready for me in various change rooms when I arrived and it was so efficient. I tried colours and styles i would never wear, and I’m so excited to now have those available to me in my wardrobe. You absolutely nailed what i would like and not like and where I would want to shop – it was all affordable brands, and new ones I had never tried. I feel excited to go out now and excited to go to work, knowing i have so many great outfits… and everything goes with everything and can be mixed and matched for work and play. I’ve never had a wardrobe like it, and honestly I think it’s a great investment – I won’t need to shop again for a long time.Thank you I feel like a million dollars and so much more confident. It was so much fun and I haven’t stopped raving about it to anyone that will listen since I did it! Christine (Personal Shopping, May 2016) Loved the experienced and realised it is a much more efficient way to shop with greater success. The fact I am a repeat customer is testimony to this. I should have gotten a personal shopper earlier. The number of weekends I could have saved myself! Rachel (Ultimate Package, May 2016) What a great day. You have saved me so much time, and money and taken the pain and frustration out of shopping which is my usual experience! I am so happy with the clothes which you selected, I loved that they were all there waiting for me in the changing room without having to rummage through racks and racks choosing what I always choose.. Which doesn’t really suit me anyway! I would recommend Laura and Ruby Slippers Styling any day! Amy (Personal Shopping, May 2016) The session was fabulous and was just what I needed prior to turning 40 and going back to work! I loved having clothes already set aside for me without me having to browse myself. Browsing can sometimes be overwhelming so it was great to have someone who knew my body type pick some clothes for me. Sarah is wonderful – very patient with lots of great ideas. This is the sort of thing I think I wouldn’t mind doing once a year to help refresh my wardrobe and to find me some things I otherwise wouldn’t have thought to even try on. Thanks again. Sarah (Ultimate Package, May 2016) I love, love, loved it!! I enjoyed how quick and easy it was to totally transform my wardrobe. Being in the hands of experts made such a difference. In the space of a few hours I went from someone who couldn’t find anything they liked to wear in the morning to someone who is actually excited to look in the wardrobe and choose an outfit. Everything can be mixed and matched, the clothes flatter my body shape and they’re also comfortable. You guys nailed the brief. You got me to try on things that I’d never normally try, and you recommended the right mix of clothes. I always wanted to have a stylist, but it really felt like an outrageous extravagance. I honestly think now there is no back though! The amount of time I saved having you guys come with me, to get that amount of clothes would probably amount to days. And, given the volume of clothes that we got for the budget, I know I saved money in the long run too. I have had loads of compliments from my friends already, and have been singing your praises. Thanks again. Alison (Personal Shopping, May 2016) Rachel you are a life changer. Thank you so much. I had so much fun on Thursday. I haven’t treated myself like that for such a long time. My husband, laughed when he saw me with all my purchases. He said i was like a kid who had spent the morning in a toy store. I couldn’t stop smiling. You were so lovely and helpful and no pressure. The length of time was perfect. Not long enough to be fed up changing clothes and not too short you felt you hadn’t tried on enough. I loved it all. Thank you so much. Joanna (Personal Shopping, May 2016) I just wanted to thank you for the most fabulous session I had with Laura. It was a lot of fun and I am loving my new clothes. It really is a worthwhile session to do as your situation changes, your wardrobe changes, you change. I had a great day, thank you again. Rebecca (Personal Shopping, May 2016) It was the first time I had ever done something like this I was naturally quite nervous and unsure of what to expect. Sarah made me feel very much at ease right from the beginning of my session and I felt she had a good understanding of my style and the kind of clothes I was looking for straight away. I was able to purchase quite a few of the clothes Sarah chose for me as well as a couple of others. She encouraged me to try a few things that I wouldn’t normally choose myself and did her very best to push me outside of my fairly conservative comfort zone! I am very happy with the clothes I bought and would definitely be interested in having another styling session for another season in the future. I really enjoyed my time with Sarah. She was professional, supportive and knowledgable and I thoroughly enjoyed the time Sarah spent with us. Rebecca (Personal Shopping, April 2016) I had a great time shopping with Vishi and learnt some new things about myself and fashion terminology, and brands. I really enjoyed that someone could find clothes that were suitable for me and knew where to look in the store. As I often walk past things as I don’t have a lot of time to try things on with 3 kids in toe. I also really didn’t stop when i didn’t really knowing who the brand were, what styles they covered, and knowing the sizes have always been a problem for me is terms of leg length,waist and tops sitting correctly, so i really had to try them on. I really hated the fact that I could never find anything I really like and if I did I had to have it altered to fit and this would take extra time and money when I really just wanted to walk out of the store and wear it that day or the next. SO, Now I can do just that! Elizabeth (Personal Shopping, March 2016) I really loved my time with Sarah. Was heaps of fun. Like going shopping with an honest friend even though we had never met before. She made me try some styles I would never have even looked at before but hey no harm in trying & I ended up with some of these being my favourite buys! Chantal (Ultimate Package, March 2016) Thanks again for all your help! It was really fun! Thanks for the discount offer for re booking! I’ll be sure to take you up on it when the time comes! I’ve told so many people about my little personal shopper/stylist experience. I’ll be sure to pass your name on. Kate (Ultimate Package, March 2016) I just wanted to say I had my ‘wardrobe’ cleaned out and it was great and it was so much fun! My Stylist nailed my style within 5 minutes. The rest was a quick toss, try on and I’m excited. Can’t wait for the shop! Juliet (Personal Shopping, Feb 2016) I had a fantastic time and really enjoyed our morning. I have worn (and been complimented) on some of the clothes already. Given it was so successful I do think that you’ll be seeing me again in the future! I most enjoyed the quantity of clothes I purchased, also confirming the styles and shapes that suit my colouring/figure. Thanks again. Sabine (Ultimate Package, Feb 2016) I absolutely loved the session! Ishtar has amazing taste! The things I loved most about the session was that you had already pre-shopped and put aside items at a few stores which saved a lot of time because I would not have known what to pick at all! I loved that we visited a variety of stores with different price points, overall I loved my session! It was so nice to get someone telling me what looks good and focusing on me! I had so much fun! I will definitely be telling my friends about this! Jodi (Ultimate Package, Feb 2016) I had a great day with you yesterday and got some amazing pieces. I love that everything mixes and matches – have never had that before. The last couple of times I have been shopping by myself I have walked away with nothing or managed to get part of what I was looking for but always came home feeling worse rather than better. Yesterday was lots of fun. I really appreciated how you had a lot of the items put aside ready for me to try on. And it was so nice to not have to get redressed and wander back out to the shop floor to get a different size or something slightly different. I am also glad I got you to come and do the wardrobe review beforehand. That was the part I was dreading the most, but again you made things super easy and really comfortable. I think having the wardrobe review made the shopping day much more successful and a bit easier. Thanks again Rachel. Debbie (Personal Shopping, Feb 2016) I loved the session on Wednesday, was great be taken out of my comfort zone and trying on things I would never have picked. I felt very special be guided around the stores, and having items waiting for me. Thanks for all the tips you gave, and for making the session so personable. Will definitely be back again. Amie (Personal Shopping, Jan 2016) Thank you! I wore my new shorts and hot pink shirt today and got a compliment from my husband, so that’s a good sign 🙂 I love everything I got, thank you again and see you again in April for round 2! Freya (Personal Shopping, Jan 2016)I had a lovely time on our session, thanks so much again for all of your help. I really enjoyed seeing the variety of options, and getting the advice about styles and colours I should be looking for. I also enjoyed how relaxed the day was, I felt very comfortable through the whole process. Terri (Personal Shopping, Jan 2016)Thanks for reaching out.. I had a great time on Monday and learned a lot. Learning some new style tips – the 2 finger tuck, style that suits shape (and doesn’t), the pretty woman element of having a bunch of things to try on.. And it was just fun, lovely company. Thank you again, it was well worth it! Candy (Personal Shopping, Jan 2016) I wanted to say thank you so much for the styling session, I really enjoyed and appreciated the shopping experience. I have loved wearing my new clothes and have received lots of compliments on them. They are all items that I would not have chosen myself and really appreciate being steered to try different things. Your tips on accessories were great reminder about an area I am not good at. The experience was very personal, thank you. I would not have changed anything about the session and hope to do another one with you some time in the future. Lauren (Ultimate Package, Jan 2016) I had such a great time last week. I love my new wardrobe and I can easily see everything now that all the old stuff has been cleared out. Honestly, what I liked most about the shopping session was that you had already picked out stuff for me to try on! I liked everything you picked out for me and love my new look! I would love to have another session with you in the winter time to help me pick out some practical winter outfits. Thanks again!! Elisa (Teen Styling, Jan 2016) Thank you again for your time and patience with me, I had a great time and really learnt a lot. What I enjoyed most was the being able to go straight into a store and that you had already picked out the items for me to try on so we were really time efficient. I also liked that we discussed about mixing and matching with what I have in my wardrobe already. I also enjoyed being able to see what didn’t look good and me to compare it with options that did. I had a great time! Louanne (Men’s Personal Shopping, Jan 2016) I wanted to thank you for not only providing this service, but altering your package to suit my husbands needs. He managed to ‘surgically strike’ and get all the shopping needs completed in one go – even coming home with a smile on his face! (totally unheard of). I was also impressed with the quantity and quality of what he brought home. He has managed to replenish his wardrobe, which has been long overdue. Laura understood my husband, his requirements and delivered in a pleasant, friendly and quick way. All in, this turned out to be one of the best gifts I have got my husband!! Brigette (Personal Shopping, Dec 2015) Thank you so much for your time last weekend – it was such a great day and really boosted my confidence. I loved that you had taken the time to go around the shops before I arrived, time management was superb and we were able to get around to so many places. I’ve never been so productive in 3 hours of shopping! The personalised approach to your planning and on the day was excellent – I really felt as though you chose clothes for me that I can continue to wear rather than just clothes that are fashionable at the moment and will soon go out of style. You are fun and easy to talk to. I really appreciated your honesty about what clothes suit me and which I should avoid, and your advice that maybe it’s time to step up my game a bit in terms of my wardrobe. Thanks again for everything, you’ve changed my perspective as well as my wardrobe! Susan (Personal Shopping, Dec 2015) Thank you for helping me chose such lovely clothes. What did I enjoy most? I guess it was someone else choosing clothes for me to try on, rather than having to look through racks of clothes and shops myself. You were also very engaging and easy to get along with which made the experience even more pleasurable. I look forward to doing this again. Leanne (Ultimate Package, Dec 2015) Ishtar is awesome! So full of energy and couldn’t have done more to make it an awesome experience. We did a solid clear out, but the real highlight (unsurprisingly) was the shop! Ishtar darted around getting sizes and picking out all sorts of things for me to try. I loved how she introduced some pieces I’d never have picked for myself, that really seemed to work! The photos throughout the session are really helpful to refer back to as it’s a lot to take in on the day. The style guide afterwards is also a great reminder of the things we spoke about. Thanks again for a great experience! Melissa (Ultimate Package, Dec 2015) I enjoyed how focused and organized the shopping trip was. I usually have no idea and end up wandering around wasting time and money. I also enjoyed the wardrobe clean out and how you showed me how to wear my existing clothes. You put into words my gut feelings about clothes that weren’t quite right but couldn’t put a finger on why. You have an excellent eye for fashion, Laura, and I appreciate how you helped me even after the session with my follow up questions. And I hope you don’t mind if I send you the odd query in the future! Fiona (Styling Workshop, Nov 2015) Wow! What an amazing couple of nights training our DL ladies had with Ruby Slippers Styling. The Team members feedback was all very positive. Thank you both. Nat (Ultimate Package, Nov 2015) Thank you Rachel, I thoroughly enjoyed the experience and loved having clothes waiting for me to try. All the stores were great & the timing was excellent with no queues for the change rooms. I only wish we’d had more time! Simon (Male Personal Shopping, Nov 2015) Thank you so much for such a great experience. I had no idea what to expect but I’m trilled with what I have and you made it easy and enjoyable. Marian–(Personal Shopping, Nov 2015) Thank you! I loved every minute and am delighted with my goodies and have told my daughter it was the best present I have received. Thank you for making the time such fun and for getting me in fitted clothes with little black. Amy (Ultimate Package, Nov 2015) Thank you so much for today. I had the best time and am so happy with all the great purchases you helped me make. You are amazing! Caterina (Sydney Shopping Tour, Nov 2015) I had a fabulous time, your tips are right on the money. Thank you so much for the coffee, your advice and an all round fantastic morning! Tara (Personal Shopping, Oct 2015) Thanks to Rachel and Laura for overhauling my husband and mine’s wardrobes. With young kids, I just didn’t know where to start and didn’t have time to even try, but in a few hours got multiple outfits at a good price – everything matched and has made me feel brand new. Hubby looks great too; first time he’s really enjoyed shopping because it was so task-focused, in and out, no fussing around. Highly recommended. Thanks so much. Katy (Ultimate Package, Oct 2015) Thank you so so much as always. The new clothes look amazing and I am getting so many compliments at work. I never would have tried half those items on. I’ll be back for my winter wardrobe! Donna (Ultimate Styling Package, Sept 2015) Thank you so much for this. Vishi was really practical and really helped me fill the gaps in my wardrobe. It was definitely the most productive shopping trip I think I have had! Ava (Teen Styling, Sept 2015) Ava had such a great day with Ishtar (so did I) and loved all her fabulous advice. Thank you! Shayne (Personal Styling, Sept 2015) What a fantastic session! Lee was absolutely wonderful and I thoroughly enjoyed my session. It was so rewarding actually going to a store, trying something on and buying it. I am not a good shopper and I actually really do not enjoy shopping one bit – however, I would like to go shopping with Lee every time I enter a store! It was like going shopping with your best friend. In fact, a number of envious looks were cast my way by other shoppers in the change room (I could tell they were thinking ‘I wish I had a friend like that’) 😉 Not only did Lee help me choose clothes but she helped me choose shoes, jewellery and make-up that I didn’t even know that I not only wanted but also needed. I wore the outfit that she had suggested to the party I was attending that weekend and every single one of my friends commented on how much they loved my outfit. That has never happened in my life! Funnily enough the clothes she suggested were all clothes I would feel comfortable wearing, even though I never would have picked them up off the rack. We ran out of time in the end but based on Lee’s advice, I did go back to David Jones and buy a number of other things that she had suggested. Michelle (Ultimate Styling Package, Sept 2015) Thank you so so much. You definitely breathed some new life into my existing wardrobe and I have been getting lovely comments at work so everyone is noticing the change. I love all my new clothes, thank you!! Kate (Personal Shopping, Sept 2015) I had a great day out shopping. You were super intuitive when it comes to clothes and what I ‘needed’. There wasn’t much that was left out from what I imagined I may purchase. So many combinations of what works together. That was perfect. Loved the suggestion for work clothes. That’ll save me a lot of time and effort. The fee for your service was good, not too cheap and not too expensive. Loved the patterned [pants we purchased as well as the pencil skirt. Wouldn’t have tried most of those clothes on had you not suggested it. Thanks again! Julie (Ultimate Styling Package, August 2015) Thank you Laura, It was totally enjoyable and I was able to enjoy the whole process because you put me at ease and gave me great confidence in your choices. I learnt a lot during the sessions that will allow me to look for the right styles and colours in the future. I really enjoyed how a few changes in styles and colours can make such a difference to how you see yourself. It was the first time I actually enjoyed shopping. The stores had a great variety of brands, styles and colours – one that I will definitely go back to. Lalia (Ultimate Styling Package, August 2015) Rachel, you were lovely and personable and your approach was proactive yet considerate. It really clicked for me when you said I had to think about “friends in the closet” before purchasing an item as a problem for me is buying something then having nothing to match it with when I get home. This has stuck with me and I always think of it when I am shopping now. I am getting a lot of wear out of each of the clothing items and others in my wardrobe I already had. Thank you for the style form its great! Griff (Male Personal Styling Package, August 2015) He enjoyed trying on the different styles and the confidence it has given him to choose styles that he wouldn’t normally go for. I really loved seeing him in some nice clothes and not the dreaded outfits like in the “before” shot I sent you. I think the whole process was quite efficient. Ishtar was extremely knowledgeable and obviously enjoys and is very good at styling. Griff told me that he thought it was a great present and he really enjoyed the day and he has since loved seeing the photos of his favourite outfits. Now to save up and send my daughter and then me for styling sessions with Ruby Slippers! I would definitely recommend the service to friends. Maureen (Personal Styling Package, August 2015) Best Part: The speed of results. So easy. Change? Nothing Recommend. Enjoyed the stores: Yes, very good, particularly the fact that there were sales on. Thanks Laura for finding the great bargains. Favourite Purchase: Being convinced that I can wear tighter, skinnier jeans. Brooke (Ultimate Styling Package, August 2015) Thanks again for the styling / shopping it was very enjoyable and I’m so enjoying having clothes that are comfortable and stylish 🙂 The best thing about the session was the fact that you pre shopped and all I had to do was try things on! It was such an easy and fun process. I liked the stores you took me to, and you picked out things that were flattering to my body shape and also comfortable. I wouldn’t change anything really, you did a fantastic job! I will have to do this again every season! I’m so happy with my new wardrobe and have much more confidence shopping on my own now. I will hopefully see you again for another shopping expedition soon! Linda – (Personal Shopping, July 2015) Thanks so much for a great and informative styling session with my niece. We both really enjoyed it and felt like we learnt a lot. You really made Vanessa feel special and encouraged her in her body type. She came away feeling good about herself and how she can look. I think the stores you chose were perfect for her age and style. Rachel, I really appreciated your friendly manner and your professionalism. Thanks again for a great day. Hannah – (Personal Shopping, July 2015) Thanks for your help on Wednesday. It was a great shopping experience for me, and I really like the clothes that you suggested. I’m happy with the clothes I took home and am enjoying looking more put together 🙂 Thanks again. Belinda – (Personal Shopping, June 2015) It was a great experience, I like that you understood I like brands and quality of fabric and the pieces you picked for me were great, with of course a few pieces outside of my comfort zone. The set up in Djs is the best. I have begun saving for next season! Mel – (Ultimate package, June 2015) I loved how organised you were, you had all the clothes ready for me so I felt we got everything I needed well within the time with some time to browse. I often feel overwhelmed in places like Zara – so it was great to have someone pick out the clothes in such a huge place and help me select the right clothes at a great price. Daniel – (Men’s Personal Shopping, June 2015) I’d like to thank you so much for a fantastic shopping time on Saturday and your valuable advice on the purchases. I really enjoy it, thanks again! Emma – (Personal Shopping, June 2015) I really enjoyed the shopping trip with Vishi, she was fantastic and I love my new outfits. Vishi was organised, honest and fun to shop with. I have worn the outfits she picked out for me here in China and received compliments from my friends. I feel better prepared to dress for different occasions. I loved the stores that we went to and a couple I hadn’t shopped at before. I went back the next day to purchase a few more items we had looked at. I really enjoyed the entire experience and hope to enlist your help again in the future. Deborah – (Wardrobe Refresh, May 2015) I very much enjoyed the styling session and have already taken on board your comments. I found the framework you provided very helpful. It was a lot of fun trying them all on and it made me feel great. Thanks again. Sarah – (Personal Shopping, May 2015) I really enjoyed the session, it was quite refreshing knowing that Ishtar would be honest on what clothes were working and what weren’t working. I loved turning up with a changing room booth full of clothes, not wasting time trawling through the shops. I really like the mix of clothes are all in my price range. There were some brands that Ishtar recommended that I wasn’t aware of which was great too. The session was great, will think about doing it again in summer. Sarah: (Yummy Mummy Package, May 2015) Thanks again for a fabulous morning! I loved trying on new outfits that I wouldn’t usually look at and exploring new styles. It was great to hear suggestions on how to dress up/down the outfit for multiple different scenarios so I could really picture it and see how I could get some good wear out of things for both day and night. I loved every minute!! The time went so quickly. Usually I have very little patience when shopping, yet couldn’t believe how quickly the time went! Sally: (Personal Shopping, May 2015) I loved getting an objective view of what shape and colouring I have – it turns out I have been doing it wrong, and hiding my best asset. I did not think I would ever use a service like this but it was such a positive and productive experience that I would do so again. I enjoyed visiting stores which I otherwise would not have, and to have an expert navigating for me. As a visitor to Sydney I was not familiar with any of these brands and would not have known either the high-end or value stores, and what things to look for in each. Thank you! Michelle: (Personal Shopping, May 2015) Thank you so much for the shopping trip Laura. I am so excited about my new clothes and have been photographing lots of different combos the last few days. I loved that you did all the ‘pre-shopping’ so I could try things on straight away. I would love to use the service again and will recommend to friends. Katrina: (Personal Shopping, May 2015) I have been loving my new clothes and telling everyone how it was a wonderful experience. I still can’t believe how much we achieved in such a short time. If I had been on my own I would have given up and gone shoe shopping! What I enjoyed most was that we actually managed to find lots of clothes that fitted, looked good and went together. When I got home I laid them out on the bed and I was impressed at how well everything was co-ordinated. It was also good to have an independent view which supports my view of the colours which suit me. I have in the past let friends/family convince me to buy clothes which I really should have said no to. Those clothes never got worn and are now donated. Thank you again. Annette: (Personal Shopping, 2nd Session, April 2015) Thank you for another awesome day, I love everything! Will definitely see you again soon, I love the experience. Lauren: (Personal Shopping, April 2015) Had such an amazing time with Sarah, was really nervous at first but she made my experience a good one and not to mention got some amazing pieces!! Carmine: (Personal Shopping, April 2015) Just wanted to let you know, the boys had a great time with Billy & we are all happy with the clothes that were purchased. We’ll be in touch to book another session soon!! Marie: (Ultimate Package , March 2015) I had a great time and thought you were terrific! I wouldn’t change a thing about your services! I liked your honest approach, sense of humour, the way you got a handle on my needs and I was impressed with the way you had planned for the sessions by having clothes ready in the change room. I also appreciated the way you listened to what I liked but also suggested a few things out of my usual selections. I also like that the clothes I have can mix and match well. I am enjoying my new clothes and my 13 year old son loves my casual blue and white shoes!! Thanks again Rachel. Your “one in a million”- so suited to your job. Lee: (Wardrobe refresh, March 2015) I had an absolute blast shopping with Sarah! She has taught me so much and I absolutely love the new clothes!! I am actually not scared now to go shopping on my own! To be honest, I was a little nervous about the whole process however Sarah was just gorgeous and made me feel so comfortable the entire time. As soon as we met, my nerves disappeared. I enjoyed trying on things that I would never have looked twice at previously & I love seeing some new colours and styles added to my wardrobe. Our shopping time went so fast, if anything I wish that we’d had more time to explore other stores! The entire experience was amazing! I cannot thank you guys enough. Leigh: (Ultimate Package, March 2015) It was great to have some honesty and help in parting with some of the clothes that I kind of knew weren’t ‘my best look’ or that no longer fitted well anymore or were getting worn. Also shopping with someone who knew most brands well, from both a style & fit perspective. Laura generally knew what would fit me and look good irrespective of what size the label said which was really useful! She also had a great awareness of high street brands and what you could buy as a reasonable quality item with an inexpensive price tag and mix it with more expensive designer pieces. It was also great that Laura had pre-shopped our list of “wardrobe gaps” so all I had to do was try on clothes 🙂 This saved me heaps of time! Lastly it was great to try different looks and clothing combinations & photograph them so I have a “wardrobe go to” reference guide in my phone for those crazy busy days when I need to look stylish FAST!! Lee: (Ultimate Package, March 2015)I just wanted to message and say my wife had an amazing time with the wardrobe refresh and she just finished the shopping with Sarah at parramatta. My wife is buzzing and she has had an amazing birthday. Sarah has been fantastic to deal with and my wife has learnt a lot and has already told all of her friends about it. Great service and I’m really happy. Thanks! Zeenie: (Personal Shopping, Feb 2015)I loved the session – Ishtar was awesome! Will definitely want to use her again. I enjoyed being pushed out of my comfort zone and trying on clothes I never usually would. Cathy: (Personal Shopping, Feb 2015)I had such a fun session with you Rachel, Thank you so much for the effort you put in :)I loved that all the clothes were all ready put by, but my favourite thing was being able to try on different styles that I wouldn’t normally pick – the session really opened my eyes. There is absolutely nothing I would change about the session! I loved the stores we visited, Some were stores I would of naturally visited and others weren’t but they were a pleasant surprise and I am in love with my new clothes, Thank you!!! Dr Deb: (Personal Shopping, Feb 2015)Very happy with this service. Good value as it saved a LOT of time and getting lost. Laura knows her stuff, was well prepared, (had ‘ pre-shopped’) and a pleasure to shop with. She had great suggestions but was happy to take on board my wishes, yet not afraid to push me a little out of my comfort zone. Did not take me to highly expensive shops either. A very worthwhile experience – especially if on a tight time frame and looking for some new ideas with the wardrobe. Three hours just flew by. I would definitely do it again when in Sydney. Thanks very much. Lisa: (Ultimate Package, Jan 2015)Laura, Thanks for a great experience. I am getting on great with my new clothes, I’ve had a few compliments admiring my outfits as you mentioned might happen! I liked the fact that you came around for a wardrobe refresh initially which ensured you were aware of what type of clothes I wear and what I needed most to suit the clothes I already have. This also ensured you could advise me of items that would suit me and bring me out of my comfort zone. I think the stores we visited were well chosen as all of the clothes were within a reasonable budget and they are all stores I have visited already or will probably visit in the future. Nigel: (Personal Shopping, Jan 2015)Thanks so much Ishtar, I felt so relaxed and comfortable and loved everything we bought and I am extremely happy. All the stores we went to were great and I wouldn’t have changed anything about the session. Amanda and Erica: (Personal Shopping, Jan 2015)Hi Rachel and Laura, Thanks so much for the documents showing what suits us both. We both thoroughly enjoyed our sessions. I particularly liked your advice on what styles suit me now following some big physical changes I have gone through in the last 18 months. The sessions were really good and I appreciated that a range of shops were attended. Rebecca: (Ultimate Package, Jan 2015) Thank you Laura for all your help today. I feel very happy with our purchases – and most definitely would not have been able to do it without your guidance. You obviously put a lot of time, planning, thought into it – and understood exactly what I wanted to get out of the day. Penny: (Ultimate Package, Jan 2015) Thanks Rachel, I loved everything about both wardrobe and shopping session. My favourite part was probably the feeling of excitement (and relief) when you picked out my first outfit which suited me and knowing then the whole experience was worth doing. Also that all the clothes were ready waiting for me in the change rooms so we didn’t waste any time. …alsoJ that you were so down to earth, practical, realistic, full of good advice and fun to hang out with!! Thanks again!! Raecheal: (Personal Shopping, Dec 2014) I had an amazing time with Rachel. I never thought I would get so much from the session and would definitely consider doing this annually. There are so many things I enjoyed….I really liked that we bought brands which I had never tried and ones which I have bought from before but you identified different styles. I liked the styling information that you gave me during the day. I wish I could have recorded that whole thing! I LOVED that we made sure everything matched with everything. It’s like a whole new mini wardrobe and I can take that base of clothes and add in what I already have. I really appreciated the accessorising and getting the right shoes! Leanne: (Ultimate Package, Dec 2014) I learnt a lot and loved our shopping day together……..it’s going to be very hard to shop solo after that!! I was hoping to nail the smart casual/everyday attire and she gave me tools and tricks to do so. Thank you so much Ruby Slippers Styling! Ellen: (Personal Shopping, Dec 2014) I had a wonderful time and I am loving my new wardrobe. Thank you for assisting me to pick clothing and accessories that I feel completely comfortable wearing and that work well together and work with other items in my new wardrobe. I appreciate the time you spent with me to ensure I can re create the look when I am at home and also how to mix the items up to create new looks. Lisa: (Ultimate Package, Dec 2014)I really enjoyed our shop on Tues! I loved that you picked things out for me really efficiently & matched them with different outfits along the way, including accessories & things I wouldn’t normally have considered. Even though it was a fairly full-on experience, it was still fun & quite relaxing shopping with lovely people who knew what they were doing, so I didn’t have to think too hard! Dave: (Male Personal Shopping, Nov 2014) A big thank you from me, I’ve come away feeling much more confident in clothes shopping thanks to a very fun day with Billy. Very much appreciate it! Elise: (Ultimate Package, Nov 2014)I have been wearing many of the things I bought during the session with you and I am very happy with what you managed to do in such short time, so thanks once again! Bonnie: ( Personal Shopping, Oct 2014) We really enjoyed our session with Ishtar in August. She was responsive, helpful, had great enthusiasm and very easy to spend the time with. I have been far more adventurous in trying things while shopping and also more confident about what I like now. I have been far more adventurous in trying things while shopping and also more confident about what I like now. I have worn everything already! Really loved a pair of pants I got that are different from my usual style and fit really well, and a great new jacket. Thank you! Jess: (Personal Shopping, Oct 2014)Just wanted to say what a great experience I had with Laura on Wednesday. She was patient, flexible, helpful, energetic and really made me feel comfortable. Laura pushed my boundaries far enough, answered my questions and generally made the whole experience really beneficial. I will and already have recommended her to my friends! Thanks again. Brianna: (Teen Personal Shopping, Sept 2014) Thank you for Brianna’s appointment last Saturday. She really enjoyed it and was very happy with what she purchased. Hamish: (Male Personal Shopping, Sept 2014) I had a fantastic session with Billy. The best part of the styling session was the great advice and tips Billy gave me.I wouldn’t change anything. I would recommend your services to a friend. Thanks again. Lyndell: (Personal Shopping, August 2014)Thanks to you Laura, I actually look forward to getting dressed in the morning! I’m loving my red jacket as I can wear it with anything! I’m also feeling more inspired to walk into other stores. I will and have recommended Ruby Slippers to family and friends. I liked all the stores we visitied especially Zara. I can’t really think of any way to improve the afternoon. I was very impressed that you had already visited shops before we even met. This saved a lot of time. Thank you again Laura for the afternoon. I had a great time and when I’m at my goal weight I would love to come back for another styling experience with you!! Erin: (Ultimate Package, August 2014) Great to have Laura come round and check out my wardrobe. Then had a lovely, if busy morning shopping. Have had some great compliments on my outfits since. Kate: (Ultimate Package, June 2014) I certainly had a lot of fun and had a buzz for the next few hours. I’ve been telling all my friends how great it was and definitely want to book in for the summer wardrobe overhaul.The best part of shopping was having someone select the items to try on. This cuts out the confusion, time and can direct you to a variety of styles and colours you wouldn’t select for yourself. Jacquie: (Ultimate Package, June 2014)I liked that you had put clothes aside in each shop so we didn’t waste time and could quickly try on clothes in each shop. You also helped me find a simple selection of mix and match clothes and made packing for a one month holiday so much easier because I knew everything worked well together. I actually ended up packing less clothes than my partner for the first time ever! Camille: (Ultimate Package, June 2014) Just wanted to let you know how much I enjoyed the wardrobe consult and shop that I had with Laura.It was the best thing I have ever done and hope to do it again come summer. Laura was so lovely and completely nailed the ‘job spec’ so to speak.Thanks again for all your help in setting things up. I will be recommending you to all my friends. Scott:(Men’s Personal Styling, June 2014):Just a note to say I was able to be an effective clothes shopper thanks to your advice! I followed your recommendations re colours and styles and now have a much smaller but more efficient wardrobe. Once again, thank you for all your help – the investment was well and truly worth it! Amie: (Ultimate Package, May 2014)Thank you so much, I’ve had two amazing outfits so far and already know what I’m wearing golfing tomorrow and planning a dinner date with my hubby for the evening. Everyone at work has been complimenting my clothes and I’m loving it! Gail: (Ultimate Package, May 2014)I love my new clothes, it’s just hard to decide what to wear! I really enjoyed clothes shopping for the first time, thank you! Lee: (Personal Shopping, April 2014)Just a thank you for organising a great day for me on Saturday I loved it! Lee was awesome, will definitely be using you guys again, great way for me to shop! Kelly: (Personal Shopping, April 2014)I had a fantastic time, I’m very impressed with the prompt service I received & for fitting me in at short notice your business is a great idea! Getting advice about accessories which go with outfits & receiving validation that I do know what suits my body shape I just have to trust myself more! Kate: (Personal Shopping, April 2014)The best part for me was having someone make selections for/with me as I find shopping for clothes too overwhelming.I would recommend your services to anyone who needs a stylist or help with their wardrobe. The jackets are my favourite purchases. Please pass on my thanks to Lee for a wonderful experience, she was absolutely fabulous. Jo Ann: (Ultimate Package, April 2014) I loved my session with you. And the thing I think I enjoyed most was that you were there just for me. And we were on a mission: no stops, no cups of coffee, no intermission! And to have you choose pieces before I got there was great. Francesca: (Ultimate Package, April 2014) I loved looking at what clothes (styles, cuts, colours) really suited me and generating a broader picture of my ‘style’. Thanks Laura for all your amazing help. I’m still buying clothes! Jess: (Personal Shopping, March 2014)What i enjoyed most was finding out what styles suited me, and spending money on myself for a change instead of the kids, I wouldn’t change anything, it was great, you’re lovely, and we had fun. I loved seed, I shop there for my kids, I never spend much on my self any more. I loved the black pants from seed, and the red scarf. Thanks again, very fun day . I have recommended you to a girlfriend. Deena: (Ultimate Package, March 2014)I just wanted to say a massive thank you for yesterday. I was exhausted (and starving), by the time we finished, but I loved everything we got and how it all goes together. Thank you again. Jo: (Ultimate Package, March 2014)The overall experience has instilled a confidence in me that’s been missing for a long time. I feel empowered to make choices, take a little risk and use clothes to stand out rather than blend in. Love the fact I have white jeans…would NEVER have bought them in a MILLION years. I’m going to recommend Ruby Styling to a couple of girlfriends too. I know they’d get a lot from the session. Caroline: (Personal Shopping, March 2014) Laura, I wanted to thank you for two hours of very productive and yet fun shopping! It was good for me to have you pre-select the clothes in only two shops: it made life much easier. It was a bit like being mothered, something very therapeutic for me, that was really nice! I also really liked the jackets and I’m looking forward to wearing them when the weather cools down a little. The pricing of the clothes you chose was also very reasonable which meant that I got a lot of items for a not-over-the-top total. In fact I got some really good bargains, especially the shoes at Myer! Tristan: (Male Personal Shopping, March 2014) I have had such a great day with Jim today and yesterday helping me get this corporate wardrobe under control. His passion for his craft is contagious! Nicole: ( Personal Shopping, Feb 2014)I loved trying on new things that I would never have looked at before and getting honest opinions. I loved how I was never pushed to buy anything and I got to see how Lee would talk to the Sales people to get sizes etc. and put things behind the counter, things that I don’t do, but will moving forward. I have walked away with more confidence in my shopping. Lee was fantastic and made me feel at ease as she knew I was apprehensive. She taught me a lot and made the day enjoyable. Celine: ( Ultimate Package, Feb 2014) I am enjoying my new clothes very much! I think what I enjoyed most about the session was that I allowed myself to try & buy items I would not have otherwise looked at. I enjoyed learning about the colours that suit me, what goes with what and how to accessorise with jewelry. I feel confident in my clothes when I step outside now. I liked having a coffee/discussion to sum up at the end. Hannah: ( Personal Shopping, Feb 2014) Laura thank you so much for yesterday – loved going shopping with you and love everything you picked out! Feeling super confident about returning to work now with my new wardrobe and backed it up today to get shoes – red ballets and brown wedges – so i am ready to roll on Tuesday. Oh and got the jeans you recommended too! Would highly recommend the personal shopping experience to anyone – I think you need someone to point out what suits and to get you looking at things that you otherwise may not have tried on. Plus I had a lot of fun spending!! Liane: ( Personal Shopping, Feb 2014) I thought it was great how Rachel already had some clothes picked out and put aside in the change rooms at a couple of places beforehand. Then while I was trying on these pieces Rachel worked in some more items to try on. It was really good to have her in the change room with me to show me what worked and what colours were great for me and what cuts of clothes were most flattering and what cuts to avoid. It was really nice grabbing a coffee afterwards and chatting about my purchases and just chilling out after a busy three hours! There is really nothing I would change about the session. It was everything I had hoped for and more! In the three hours with Rachel I was able to get all the clothes I needed and she was able to pick out the best colours for my skin tone and the right cuts for my body type. I’m actually excited about getting out of bed and deciding what to wear in the morning – I have so many more options now and love how we were able to work a lot more colour into my wardrobe (before the shopping trip my wardrobe was predominantly neutral colours – blacks, greys, creams etc).I’m the type of person who doesn’t like shopping all that much and have had a lot of failed shopping trips coming home empty handed or with something I don’t really end up liking – but that is now all in the past! I will definitely be booking in another shopping session with Ruby Slippers Styling in the future. .
Ayela: ( Personal Shopping, Feb 2014) In terms of feedback – well first thing I have to tell you is that I was at a work thing the other day and someone came up to me and said “what is going on with you? have you had a make over ?” so whatever you did it worked!! I really loved the experience and I liked having someone take me out of my comfort zone, thank you! Sam: ( Male Personal Shopping, Jan 2014) Lee gave a lot of advice – picking out a bunch of clothes is one thing, but she was good at explaining what exactly she was looking for, so I can buy stylish clothes myself in the future. The style tips will definitely help too. At the beginning, due to budget constraints, we were pretty sure I would have to skip shoes and focus on jeans and nice shirts. But Lee found an awesome discount at Country Road that included a couple nice shirts and some nice shoes for $240 (I think). Apart from being a bargain, theywent quite well with the jeans we just bought. Melanie: (Ultimate Package, Jan 2014)Thanks, it was great fun. Someone picking out the clothes for me and learning about what not to wear for your body type and colours. I like the idea of just shopping once a year to update my wardrobe… the hassle thing is very appealing! My colleagues keep saying how fabulous I look with my new look! Danielle: (Personal Shopping, Dec 2013) Loving my new wardrobe and have worn a few outfits already! My hubby was stoked, loved the clothes and the fact that I was happy with myself and that I had something to wear! I had a fantastic time and have recommended you to all my mums groups! I feel a lot more comfortable about shopping in the shops we went too. I would normally never go there. Claudine: (Wardrobe Consultation, Dec 2013) Thanks so much. I really enjoyed myself and have even culled out some more clothes since. It was really good fun and I have started to understand a bit more about fashion and how to dress myself. I am trying harder to mix and match things, and so far it is fun. Liz: (Wardrobe Consultation, Dec 2013) Thank you so much for a great cleanse and great suggestions to re calibrate how I put things together! Got even more ruthless after you left and did my dresses too… Genuinely, thank you!! Belinda: (Personal Shopping, Dec 2013) It was a relief to stand in a change room and have someone with a honest opinion helping me to decide what not to buy and felt great to do such a big hit at once. With Lee I felt like I was shopping with a honest friend, I felt very comfortable. I feel that a couple of times a year to reset for the season ahead would be perfect. Helen: (Personal Shopping, Dec 2013) I had a fab afternoon shopping and love all of my new clothes! You were absolutely great Laura and everything you chose was spot on in terms of giving me new options, without taking me completely out of my comfort zone. Gabby: (Personal Shopping, Dec 2013)It was a great experience and I was extremely happy with Lee and her advice!!! instantly i could see a difference in myself just by dressing differently. It has given me a lot more confidence. Allison: (Ultimate package, Dec 2013)I loved the wardrobe review. Lee really helped me see all of the options I have with my existing clothes. In particular there were items I was a bit unsure of and as a result wasn’t wearing. She showed me what worked with each item so they are back on the wearing rotation. Brian: (Men’s Styling Package, Nov 2013) The best part of the session was being given ideas on new places to shop and which stores would provide me with suitable options. Breaking the vicious circle of shopping in the same places, buying the same things and regularly feeling as though I was buying for the sake of it. Also gaining confidence about the kinds of clothes I should be focusing on for me and what to avoid. These are all things which I was hoping would be part of the session and they were all covered perfectly. Ali (Personal Shopping, Nov 2013) I have been telling everyone who will listen how great you were Rachel and how much I got out of my time with you. What I enjoyed the most was how you mixed and matched almost everything I bought. There is nothing I would change about the session, although perhaps next time I would book a slightly longer session. Belinda: (Ultimate Package, Oct 2013) I absolutely loved the wardrobe session, that was so enlightening, I felt like I had an entire new wardrobe without buying anything. Lee was amazingly helpful and showed me so many different ways to wear what I already had. The shopping day was fantastic, I loved that Lee just knew my size and style and co-ordinated all the shopping and payment “special offers” to ensure I got what I needed and wanted and paid the right price for it all. She was fabulous. I have raved about this experience to everyone I know. It was amazing. I have spoken to so many friends and work colleagues about the weekend and have strongly recommended that they use Ruby Slippers. One of the best parts when I am speaking to friends about it is the price. To be honest I found it very affordable and therefore many of my friends who are on budgets thought that this type of service would be totally out of their reach found it to be actually affordable and now very worthwhile (after my feedback). I also think this is a great “gift” idea for a friend or sister that would love this but might not have the budget. Laura: (Ultimate Package, Oct 2013) It was a fun and a very useful couple of sessions! I found out more about my colouring (warm/cool etc) and what suits me based on this. I also learnt a bit more about the best clothes for my body shape. The shop was also fun! Caroline: (Ultimate Package, Oct 2013) I had the most amazing time with Lee and have been LOVING wearing my clothes. I can honestly say I don’t think I have ever been this excited about my wardrobe and actually look forward to getting ready in the morning. I loved how Lee helped me rediscover my existing wardrobe and come up with new combos from tired items. I loved trying on all the clothes in store of course and going through all the new combinations. Normally the change room is not my favourite place but with lee I liked so much of what I tried on. Oh and I loved lees use of the discounting system at witchery to save me a fortune! Sally: (Ultimate Package, Sept 2013) I loved the whole thing. I think the at-home wardrobe consultation was really valuable because if we had just gone shopping I know all my old clothes would still be hanging up taking up space. It provides a good kick start to make some changes and gets you fired up to buy some new stuff. The shopping was fantastic because it was so productive. Being able to commandeer a change room in Myer was probably the best part. The advice you provided along the way feels like added value that I can use anytime. My dresses are probably my favourite purchases, and the jeans bought in about five minutes flat rather than half a day. I would love to be constructive but I can’t think of anything I would change. I think you have got a pretty perfect formula going. Tina: (Ultimate Package, Sept 2013) The experience has given me more confidence in my appearance and now I feel I am eagerly awaiting the next social function. I used to cringe every time I received an invite because I didn’t know what to wear. And because I have clothes that compliment my figure I feel 10kg lighter! Very positive – thank you. Everyday since our shop I have been wearing a different outfit! And I love everything I bought. Celia: (Ultimate Package, Sept 2013) Loving my new clothes! New look, new clothes I would not usually try for myself. Very relaxed and friendly shopping trip, no pressure to buy but enthusiastic encouragement. Feeling more confident again with some fresh new looks. Samantha: (Ultimate Package, Sept 2013) Firstly, I loved the shopping experience, it was great. I truly have no ability to buy clothes or put outfits together and you did it with ease!! The clothes are great – I love them. It is a very nice feeling to look into the wardrobe and actually have choices on what to wear! I really liked the professionalism provided, very quick, decisive and efficient on where to go and what I should purchase, had outfits already in change rooms before I got there (was very impressed by this) and the knowledge of what to buy to suit me. Gemma: (Yummy Mummy Package, Aug 2013) I really loved everything about the whole experience, it’s made everything from getting ready in the morning to going away for the weekend so much easier. I am looking forward to our next trip! Caroline: (Wardrobe refresh, Aug 2013) Thank you so much for a great session. It was very helpful. I definitely am now on a mission to declutter. Looking forward to getting some time to go shopping to get the missing pieces, as you suggested. All your tips have been great. Cindy: (Ultimate Package, Aug 2013) Simple, easy and fun. I enjoyed finding clothes that kept within my style but were more mature. Realising that I actually have a style that is ok! . Melanie: (Ultimate Package, Aug 2013)I felt that the clothes where pushing me to consider new things without taking me completely out of my comfort zone – it was a quick way to get lots of great clothes (I don’t think I could have accumulated that wardrobe by myself within a week!) – I felt confident that I could mix and match things later by myself – the tips are very useful such as how to dress things up or down, how to buy jeans that fit you – the clothes were within my budget and I felt comfortable shopping with you! . Abby: (Ultimate Package, Aug 2013) My experience with your company was great. What drew me in was your website. I felt like you had put all the information on there just for me. Your reply to my email was very quick and efficient and when I spoke to you on the phone you were able to allocate the perfect stylist for me. She was so friendly and knowledgeable. When going through my wardrobe I felt very comfortable as if we had been friends for years. The shopping experience was again fabulous, I had all the right styles selected for me and I enjoyed shopping for clothes for the first time in years. I wish I could have a personal shopper ever time I stepped out, the experience was easy and fun. Peter: (Men’s Style Package, Aug 2013) Beforehand I was a bit concerned we would go to ‘fashion brand’ shops, but we went into ‘high street’ stores and picked up great value clothes that I am really pleased with and can wear every day. I’m looking forward to the next time I go clothes shopping, which is a bit of a revelation! Being able to achieve so much in the timeframe was incredible! Rachel’s knowledge of what styles were in stores and what would suit me made it a very efficient process. I would definitely recommend the session to a friend. Melaine: (Ultimate Package, July 2013) THANK YOU – You showed me how to enjoy shopping again – it’s been such a long time since I REALLY enjoyed shopping for clothes. You made the whole experience totally relaxing and fun. 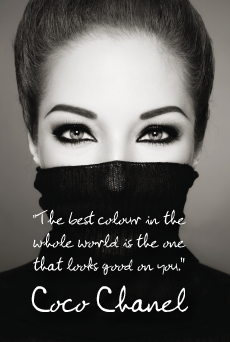 The amazing advice on the colours & styles that suit me & my body shape. I just love the bold colours of the tops I bought. Some of the colour combinations you showed me have made me really think about colours can work together. Sarah:(Teen Styling Package, July 2013) Thank you so much!! I can’t believe how much we got, and I love it all. Orazio:(Men’s Style Package, July 2013) The best part was trying styles and colours that I would not have chosen from myself. Great advice on matching colour. Melissa: (Ultimate Package, June 2013) Thanks so much for a wonderful experience. I will be back for winter and I have told so many of my friends about it! I went to the movies with a friend last night and I felt great with my new clothes and it was so nice to finally not have to stand in the wardrobe for 30 minutes trying to figure out what to wear. To my surprise my husband LOVED all my purchases!!! Becki: (Ultimate Package, May 2013) I loved the assistance in the changing room to show how to wear the items. Talking through the elements that worked well with my shape, and what to avoid. New colours that I would never have picked out myself. Also the fact that Rachel was prepared and had already picked some items out so we could get straight into the trying on. Kirsty: (Yummy Mummy package, March 2013) The whole experience was fantastic, but the best part by far was getting some style confidence back. My new wardrobe is fab and versatile and I will easily be able to add to it in future. The tips on colours to suit my hair and skin tone were great also how to accessorise. All of the advice I was given will be helpful in future too! Rachel: (Ultimate Package, Dec 2012)Thanks again for the session, I loved it and am absolutely loving all the compliments I’ve been getting!! I’ll definitely book in with you when return to Sydney for my winter wardrobe. Caryn: (Personal Shop, Dec 2012) The best part of the experience was immediately seeing an improvement in dress. Having everything planned and explained to me prior to the shopping trip was really useful. I’d definitely use your services again! Anne: (Personal Shop, Dec 2012)The best part of the experience was having the hard work taken out of finding clothes for me. It was most useful being told what not to wear and having a big wardrobe clean out. The whole experience was well organised and professional, yet friendly and non intimidating. I came away on budget with lovely clothes that I would never have been able to find by myself and with knowledge of how to wear them. Michael: (Men’s Style Package, Dec 2012) It was a very helpful session, I’d highly recommend it. Thank you! Belinda: (Ultimate Package, Dec 2012) You introduced me to a range of clothes that I thought I couldn’t wear. You made it very easy, were well organised and prepared, you were warm and encouraging and have a good eye for what looks good. As a person from the country it was great to go straight to the shops with suitable clothing. I would most definitely recommend Ruby Slippers to my friends! Kate: (Personal Shop, Nov 2012)I just wanted to let you know that the shopping experience was awesome. I liked everything and it all fitted me perfectly and I bought so much. It was the most productive shopping trip ever. Showing me colours that would suit me along the way and how to put an outfit together. I wore one of my new outfits last night and got heaps of compliments. It is definitely some thing I could see myself getting done each year to refresh and add to my wardrobe. I feel a lot more confident in getting dressed now as I know what looks work for me. I have told all my friends and family and I think you will get some more business. Lucy: (Ultimate Package, Nov 2012) I felt like a VIP in stores!!!! The session was professional and we didn’t waste any time. I felt like I got real value out of it and I’m loving my new clothes and having clarity on what colours and styles suit me!! Naomi: (Ultimate Package, Nov 2012) The best part of the experience was having the hard work taken out of finding clothes for me. It was most useful being told what not to wear and having a big wardrobe clean out. Louise: (Personal Shop, Oct 2012) I loved our shopping session!! Funny, feels like you are in my wardrobe when I’m getting dressed accessories flying on you’d be proud!! Sam:(Men’s Styling, Oct 2012) I would highly recommend a session and can’t wait for my next one!. Ash: (Personal Shop, Oct 2012)I am so happy with the new clothes you helped me with. I had no idea what colours suited me and now feel much more confident. The best part for me was seeing how the different outfits could look with simple changes such as accessories. Kristy: (Ultimate Package, Oct 2012) The session was great, very helpful, I’m really glad I did it. I’ve been raving to my friends about how good it was, so I’m sure a few of them will take up your services, everyone seems to have the same problems I had!. Rosie:(Personal Shop, Sept 2012) I can’t thank you enough for giving me back my shopping and style confidence. I’ve felt so different since our session. The best part for me is opening my wardrobe now and loving my clothes rather than hating what is in there. Thank you! Jemma: (Ultimate Package, Aug 2012) I couldn’t pick one part of the experience I enjoyed the most. I loved all the style tips, I’ve recommended you to many friends already, I’ve had lots of compliments. I just wish I had had more money to spend! Pru: (Personal Shop, Aug 2012)The best part was trying on clothes that I didn’t think would suit me! Was really useful to see what matched and what jewellery to use. I would definitely use Ruby Slippers again! Kerry: (Personal Shop, June 2012) I LOVED the session and every item we bought!! Lots of new things that I would never have tried but am really pleased with. It was the perfect balance of suggesting things to get rid of/ try and not being too forceful. I now feel much more confident in putting outfits together and shopping. I will definitely be back next season. Benjaime: (Ultimate Package, June 2012) Knowing the collections in each shop & exactly what items I would love. That was a massive time saver for me. I would love to use your services again for my summer wardrobe! Katherine: (Personal Shop, June 2012) It was lovely to shop with the focus being on me, the feeling of being pampered. Feeling re-energised about shopping and the clothes I already own, wanting to take more risks with what I wear. Loved seeing new ways to mix and match, existing clothes as well as the clothes/accessories I bought, constantly talking about ways to wear it/style it. I just wish we’d had longer! Laura:(Yummy Mummy package, June 2012) I thoroughly enjoyed the whole experience. It was great to have clothes already picked out for you to try on. I loved learning how to use accessories to adapt outfits. Rachel’s knowledge of body types and tones really showed in the clothes she picked out for me. I loved everything she chose, both from a colour and style perspective. Kylie: (Personal Shop, April 2012) I had such a fab time on Friday you were amazing! Thank you so much. I felt great going out on Saturday to the party. I can’t wait to put all I learnt on Friday in to practice. Nicola: (Ultimate Package, March 2012) I’m loving the clothes, so much so that I don’t want to wear any of my old clothes anymore!! I enjoyed every part of the wardrobe and shopping sessions & would definitely use your services again.